Many of today’s well known celebrities are Pilates addicts. They regularly attend Pilates classes to keep super fit and have fantastic toned bodies, as Pilates works on strengthening and balance and is a low impact, high result exercise. By careful training and precise control over the smaller muscles in the lower abdominal region and lower back region Pilates is able to improve your core stability. This can result in better control of the small spinal joints during movement of the spine and better control of the pelvis and hip regions. This can have many beneficial effects including improving pelvic stability, lower back pain reduction, better control of the bladder and stronger pelvic floor muscles. Pilates is a highly beneficial exercise that is recommended for anybody who wish to build up his or her core strength, improve flexibility and calm the mind. It is a very popular exercise that is widely practiced since Joseph Pilates started it in the early 1900s. Practitioners usually hit the gym for their Pilates classes but that is not the only way Pilates can be practiced. In fact, doing Pilates at home has it unique advantages and the quality of the workout can be equally good. Below is a collection of videos that will inspire and help you to find out why Pilates is a great exercise and how to use it to strengthen the mind and body. You will also learn more about our top pick premium resource on Pilates called Bodyweight Pilates by Sylvia Favela. How Does Pilates Change the Shape of Your Body? Pilates vs Yoga, What's the Difference? How Pilates Can Be Used to Enhance a Physique and Workout Program. Sylvia Favela is a Body Weight Pilates expert and a mom. 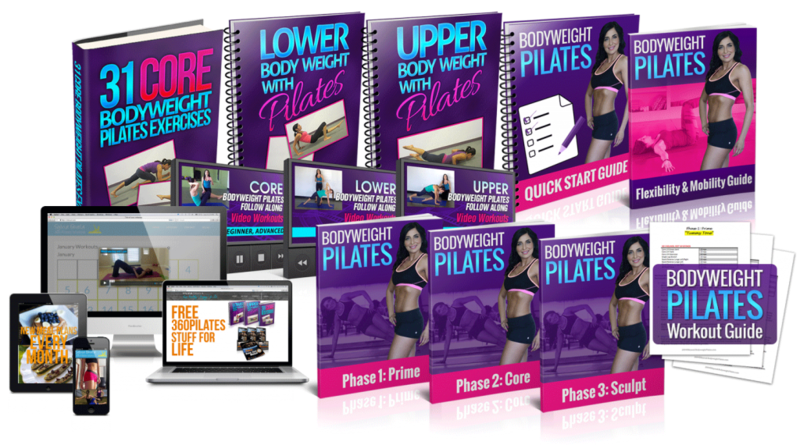 In her experience, Pilates was the missing link to getting her into shape, in the past she went to the gym but it never gave her the results she really was looking for.